JACKSONVILLE, Fla. — Invey loved to work. Even after she was diagnosed with hemangiosarcoma of the spleen. She would get excited each morning for her job. 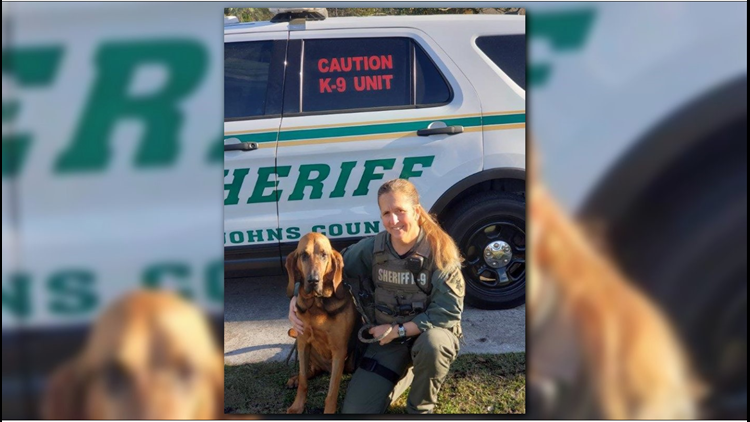 Deputy Melanie Merritt of the St. John's County Sheriff's Office trained Invey as a puppy. The K9 team was close. Super close. Tuesday morning Merritt sent me a message. It broke my heart, too. But I know I can't possibly feel the depth of the hurt she does. "Invey passed away this morning," Merritt said. 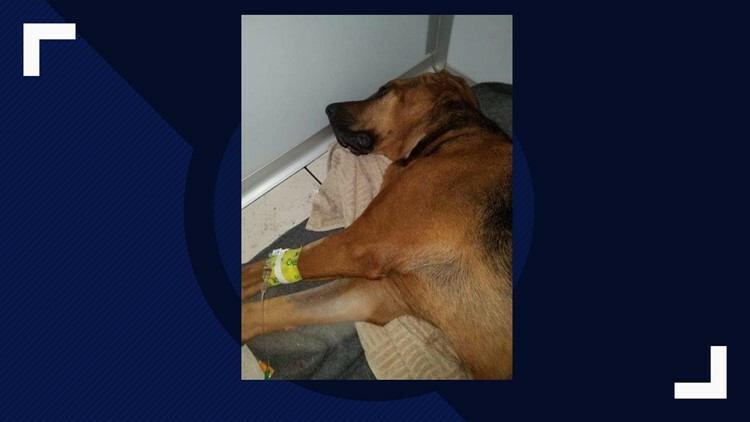 "She was unable to get out of bed and has not been eating. I knew she was telling me it was time to let her go. Hardest thing I have ever done. Thank you for taking interest in my sweet girl and this rough journey. It was 3 months exactly today since she was diagnosed." I'm writing this from a personal perspective because I've been following Merritt and Invey for a couple of months now. We've been documenting her fight against cancer. Deputy Merritt had been told Invey would probably not live another year. But she says Invey never realized she was sick. Even a few weeks ago she started each day "on duty." "She wants to work. She's still very active. She pulls me out the door wanting to go," Merritt told me. Invey had surgery to remove the cancer, but Merritt didn't want her to go through chemotherapy. The thought was it would be just too difficult for Invey. Recent scans showed Invey's cancer had spread. "Not good news on Invey's scan. It has gone to her lungs," Deputy Merritt said June 4. But Deputy Merritt likes to think on a positive note. 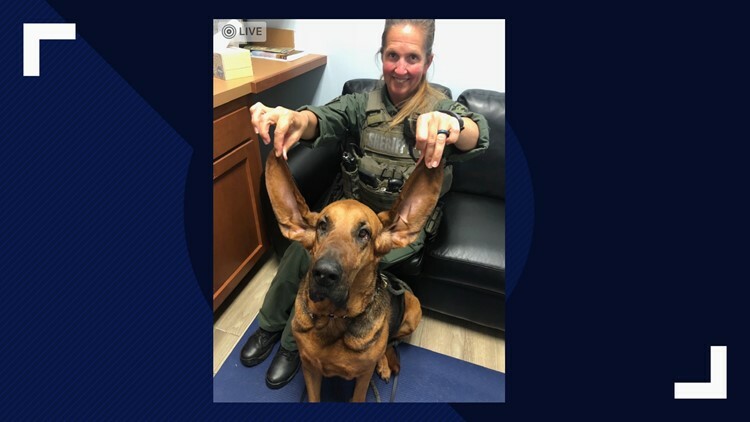 Invey had quite the set of ears, just like other bloodhounds. "One reason I fell in love with the breed..." she told me. 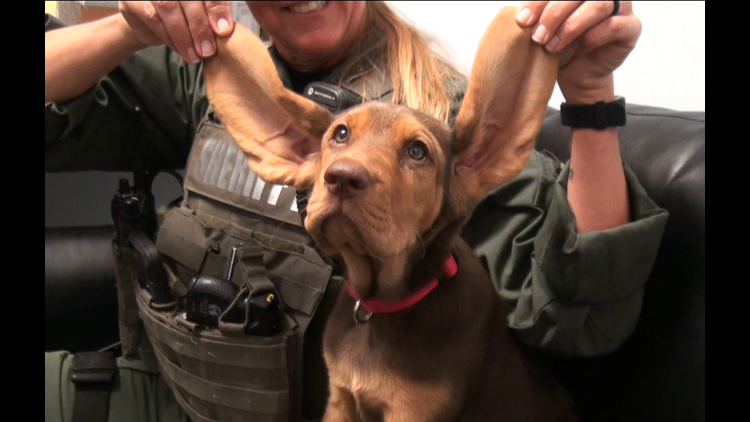 She says the ears actually sweep up scents off the ground and help in the tracking process. It's a bittersweet thought, but Deputy Merritt knew Invey wasn't going to make it. She got a new little partner to train and named her, "Hope." I know our law enforcement officers like to remain stoic. But I've been so moved interviewing Deputy Merritt. She would get choked up every time she even thought about losing Invey. Her job is intense. 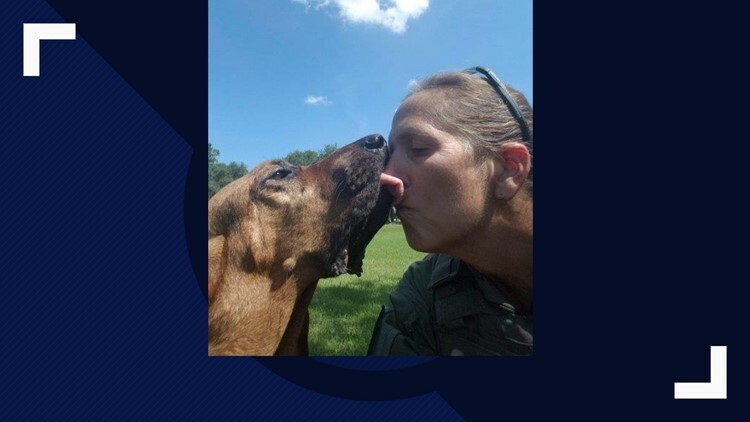 Lives depend on her and her tracking K9-- a child lost in a woods, a senior with dementia wandering around lost at night. 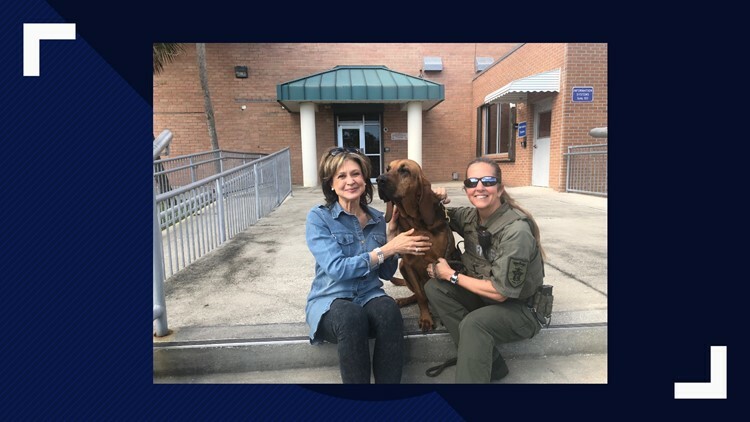 But she shared her heart for her K9 partner. And now Invey has passed away. All of us who love dogs understand. Or maybe we don't. Maybe that bond between a law officer and a K9 is that extra special. R.I.P. K9 Invey. Our thoughts and prayers to you, Deputy Merritt.